We offer a number of solutions. In the past the majority of homes had one PC/Computer connected by an Ethernet cable to a modem which was connected to a telephone point. Today, this is the exception rather than the rule. Your fastest internet speed is always going to be when connecting to the modem with an ethernet cable. 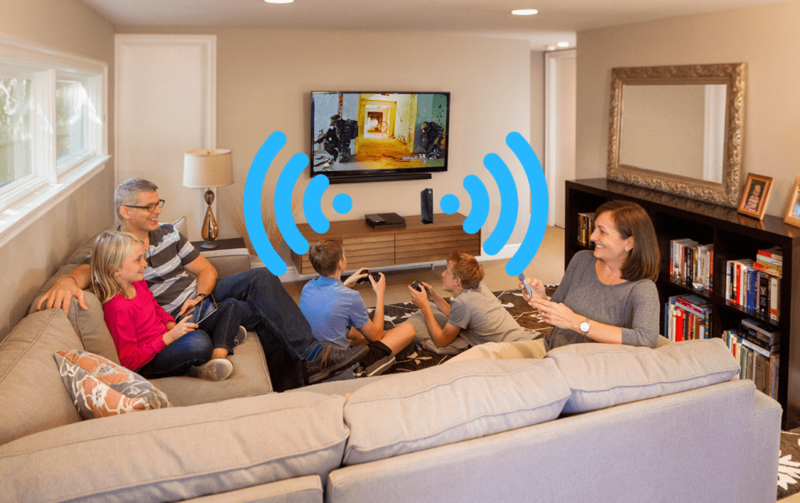 However, Smart Phones, iPads and many laptops can only connect to the internet wirelessly over Wi-Fi. ISP supplied Internet Modem Routers provide Wi-Fi internet but the further you get away from the modem, the weaker the signal and internet speed become. 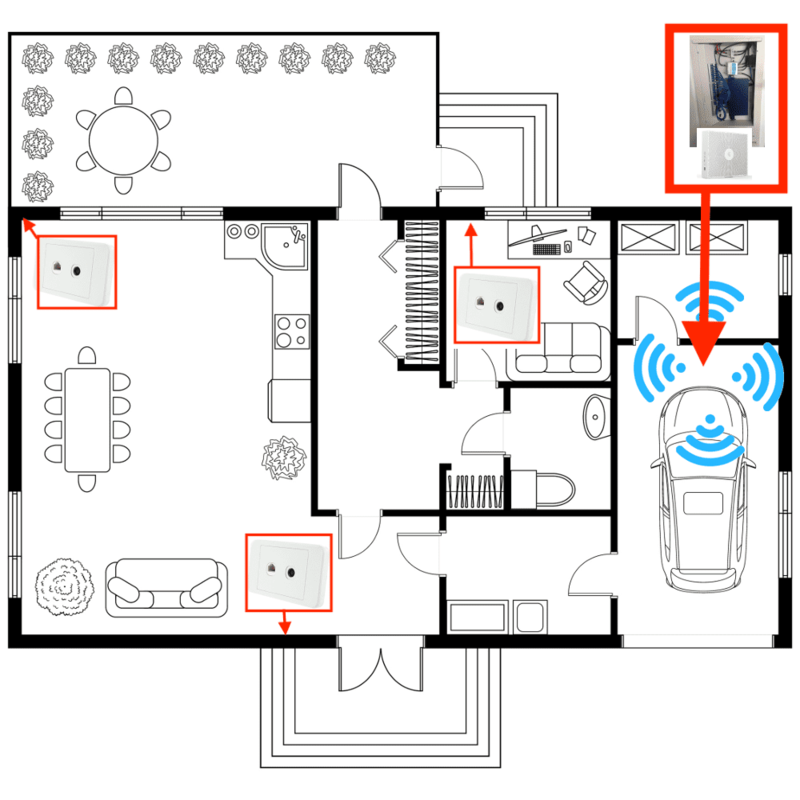 With the explosion of personal Wi-Fi enabled devices (iPad, Tablets, laptops); smart-phones (iPhone, Android, Windows); Smart/Internet enabled TVs; Video streaming services (Netflix, Foxtel); Wireless Speakers (Sonos, Bose) and Internet Connected Security Systems; Fast Internet Access is now a necessity in every room and corner of the house and even outside. Unfortunately, your standard ISP-supplied NBN or Internet modem/router will only deliver Wi-Fi over a short distance and will not penetrate thick walls or concrete floors. Even though you may have recently upgraded to the NBN, you will only benefit from the improved speeds by using a hard-wired network (ethernet) cables. You can improve the speed and distance the wi-fi signal will travel by using Wi-Fi boosters and Wi-Fi extenders (including POE devices) but only with a limited effect. 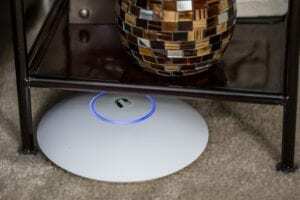 It is impossible to achieve high-speed internet via boosters and extenders over more than 2 or more rooms, the drop-off in speed and bandwidth compared to that at the modem can be 50% or higher. Boosters and extenders will not work between concrete floors and are suited to large open plan homes and offices. 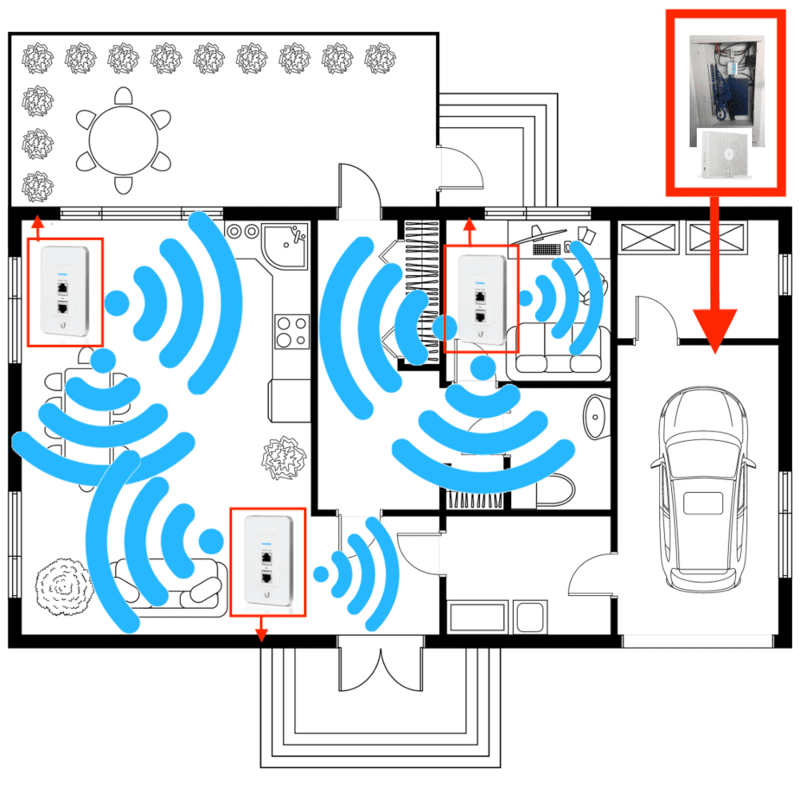 If your home or office has Smart-Wiring back to a central hub of comms box your best solution would be to add Wireless-Access-Points (WAPs) at strategic locations to provide Wi-Fi to other parts of the building away from the modems location. 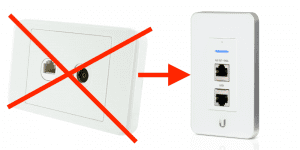 Simply replacing existing ethernet wall plates with *Ubiquiti in-wall plates, turns each wall-plate into a Wi-Fi hotspot and provides strong Wi-Fi up to 25m from each wall plate and includes 2 or 4 Ethernet points. Please contact us for pricing. Connect WAP’s to existing Ethernet wall sockets and place on floor or behind cupboards. Effective but not very aesthetic. See our solutions below for small units up to multi-storey large homes, by clicking on the links below. 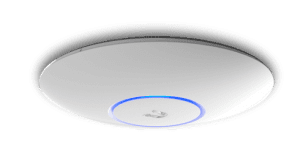 *Ubiquiti in-wall units and WAP’s should be powered by a POE switch or POE injector plus a Cloud Key to configure the systems.